The changes aren’t drastic on her new album Dig In Deep, but they reveal how she's taking charge of her music. 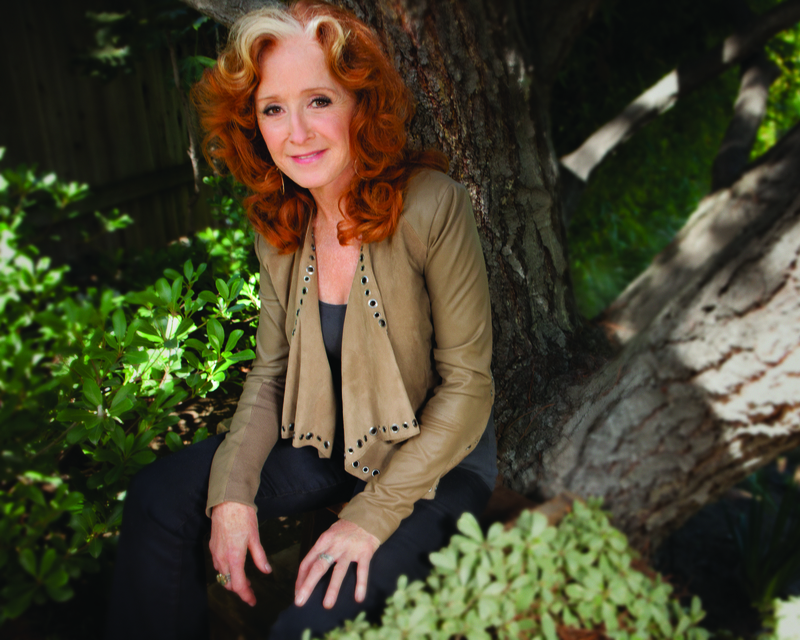 Raitt’s decades of music tell an unusual tale. She started out as a folk-rock-blues singer with a big voice, a slashing slide-guitar sound and knack for reinventing other people’s songs. Her nine albums for Warner Bros. between 1971 and 1986 didn’t sell many copies, but she was a favorite of critics, musicians and roots-music fans. That all changed in 1989, when Nick Of Time, her first album for Capitol and her first album made sober, won three Grammies, topped the Billboard pop charts and sold more than five million copies. The follow-ups, 1991’s Luck Of The Draw and 1994’s Longing In Their Hearts, also went multi-platinum, charting #2 and #1 respectively and winning additional Grammies. It proved that you could toil away under the damning label of “a critic’s favorite” for 18 years and then suddenly break through to a much wider audience. But after that best-selling trilogy, it was back to modestly selling records and devoted live audiences. The changes aren’t drastic on Dig In Deep, but they reveal how she’s taking charge of her music. She has often included her own songs on her albums, but this one includes three originals and two co-writes — 42 percent of the songs compared to her previous percentage of 16 percent. This is her second album on her own label, Redwing Records, following Slipstream, and the first that she’s produced by herself — though she’s been credited as a co-producer since 1991’s Luck Of The Draw. Another number, “What You’re Doin’ To Me,” is sung by someone who has been worn down by those consequences and has given up on romance altogether. “Just when I thought the coast was finally clear,” she sings in surprise, “you come busting in the door.” The excitement of such an unexpected, late-life love is communicated by a rollicking R&B groove that pits Mike Finnigan’s B-3 organ against Raitt’s piano.